When a great opportunity comes along, you don’t pass it up — even if it happened much sooner than anticipated. That’s the mindset Jennifer Greenman adopted when, in September of 2014, she was promoted to CIO at Moffitt Cancer Center when Mark Hulse took on the role of Chief Administrative Officer. The plan for Greenman, who was hired as senior director of application services, was to succeed Hulse eventually, and so even though it was an accelerated path, it was still one she happily took. In this interview, she talks about the innovative work being done through the Total Cancer Care initiative, the proactive approach she takes with security education, how Moffitt hopes to continue to improve patient engagement, and the biggest challenge in stepping into the CIO role. Researchers at ORIEN member institutions are able to securely access de-identified data through the consortium’s centralized data warehouse to support discovery of new biomarkers and targeted cancer treatments across this large data set — analysis that is especially important for rare cancers and molecular profiles. It’s a tremendous part of the care delivery that Moffitt provides, so we think it’s very important to intentionally take the time to properly design, build, test and ensure that all the workflows are as precise and optimal as possible to ensure patient safety and clinical efficiency. The data storage requirements are significant, and the types of data models necessary to integrate these data are highly complex and really require a different type of skill set and expertise than perhaps traditional data management tools and processes have permitted. We’re all learning. It’s extraordinarily exciting, and the potential for these technologies in all of healthcare — and notably in oncology care — is tremendous. But we’re definitely taking measures to develop the knowledge and skills to be able to enable the use of these innovative technologies in the future. 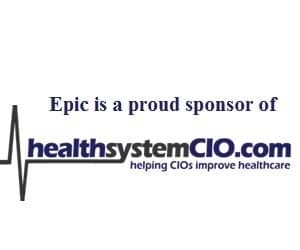 Gamble: Hi Jennifer, thank you so much for taking some time to speak with healthsystemCIO.com. Gamble: To get things started, let’s get some information about Moffitt Cancer Center, first in terms of number of hospital beds but then some of what you do on the ambulatory side. Greenman: The H. Lee Moffitt Cancer Center and Research Institute was established by the Florida legislature in 1981 and opened its doors in 1986. Our organization was founded on a singular mission, which is to contribute to the prevention and cure of cancer, and this mission is deeply ingrained into our culture and practice. In 2001, we were honored to be designated by the National Cancer Institute as a comprehensive cancer center, and currently we are the only NCI-designated comprehensive cancer center in the state of Florida. Moffitt delivers patient care across three campuses in Tampa, Florida. Our Magnolia campus, which is located at the University of South Florida, includes a 206-bed acute care hospital, as well as a large outpatient clinic and research space. We have, in fact, over 220,000 square feet of wet and dry lab space here on-campus. We also deliver comprehensive outpatient services at two satellite locations: Moffitt at International Plaza and Moffitt McKinley campus. In 2015, we treated over 54,000 patients across 346,000 outpatient visits in our disease-oriented interdisciplinary programs. Moffitt employs over 4,900 team members and we train more oncology students than any other institution in the state of Florida — more than 1,800 training rotations annually. Through our Research Institute, we received $46 million in grants and contracts in 2015. Gamble: So obviously a very well-known, renowned institution and one of the forerunners in cancer care. One of the initiatives I saw when doing research was Total Cancer Care. Can you talk a little bit about that? Greenman: The Total Cancer Care protocol is a national research study that combines information technology, research and patient care to advance precision medicine. This active program has over 100,000 patients enrolled and it continues to grow. Patients who enroll in Total Cancer Care agree to share their clinical and molecular data, as well as access tumor samples and other tissue not needed for their care. These data are stored in a secure enterprise data warehouse and specimens are stored in a large file repository. Both may be accessed and analyzed by researchers for approved purposes. Under the protocol, participants may be contacted if new information is discovered that could impact their treatment, including potential clinical trials, so the goals of Total Cancer Care include the discovery of biomarkers that may predict those individuals that are at highest risk for cancer, or those biomarkers that predict a patient’s response to specific therapies. Total Cancer Care also enables matching patients to eligible clinical trials. Gamble: And is data is exchanged with other organizations? Greenman: In 2014, the Oncology Research Information Exchange Network (ORIEN) was formed by Moffitt and the Ohio State University Comprehensive Cancer Center to facilitate secure data sharing across institutions. Since then, nine more nationally-recognized cancer centers have joined this alliance to accelerate cancer research and discovery, leveraging big data and genomics. The Total Cancer Care protocol provides a common framework across ORIEN member institutions for tracking molecular and clinical data to advance precision medicine efforts, leading to improved outcomes. Researchers at ORIEN member institutions are able to securely access de-identified data through the consortium’s centralized data warehouse to support discovery of new biomarkers and targeted cancer treatments across this large data set — analysis that is especially important for rare cancers and molecular profiles. Gamble: When you’re talking about how it stores clinical and molecular data, is this something where you found that among this particular group of patients, there is a willingness to share that data and have it kind of be used for this purpose? Greenman: Yes, there has been really outstanding adoption of the Total Cancer Care protocol. Again, here at Moffitt and across our partner institutions, we have over 100,000 patients enrolled, and I think this is really an essential part of our care delivery and research model. Gamble: And to just get some information about the clinical systems used at Moffitt, what type of EHR system are you using? Greenman: We utilize Cerner Millennium for all of our clinical applications, including our electronic health record, laboratory information system, radiology information system, surgery and anesthesia information system, and pharmacy system. Most of our clinical documentation and orders are generated within the electronic health record, and we expect to implement chemotherapy regimens within the EHR later this year. Gamble: What’s being used currently for that? Greenman: Currently, chemotherapy is documented on the paper-based order form. Gamble: Has that been an area in the EHR world that hasn’t been available in recent years? Greenman: Chemotherapy definitely is the most complex or one of the most complex aspects of the electronic health record, and I think that it’s fair to say that many institutions have implemented that functionality later in their EHR maturity and we’re certainly working through that now. It’s a tremendous part of the care delivery that Moffitt provides, as you would expect, so we think it’s very important to intentionally take the time to properly design, build, test and ensure that all the workflows are as precise and optimal as possible to ensure patient safety and clinical efficiency. Gamble: And in talking about the ORIEN network, how does that work as far as exchanging data? I imagine that there are different systems that come into play, especially when you’re talking about oncology? Greenman: Currently, participating institutions share data — again, de-identified data — using a common format that is available from many cancer registries, for example, and other systems. But certainly member institutions have a strong interest in being able to expand that data set to encompass other data sources such as electronic health record data, and so that is very much an active discussion underway. Gamble: When you’re talking about not just the type of data that you’re dealing with at Moffitt in terms of not just the complexity but the shear amount of data, I imagine it has be really a huge part of your strategy as far as being able to manage and then harness all of the data. Can you talk a little bit about your strategy there? Greenman: Sure. I’ll start by saying that Moffitt has a tremendous commitment to personalized medicine and has invested considerable time and resources into developing disease-based clinical pathways which are advanced decision support models for our care teams. These pathways incorporate evidence-based practice to drive diagnostic and therapeutic interventions that promote improved outcomes and value-based care. In addition, through our DeBartolo Family Personalized Medicine Institute, our personalized medicine consulting service works collaboratively with providers to develop treatment plans based on the molecular profile of a tumor to ensure that our patients receive the most appropriate therapy for their disease. All of these initiatives rely on Moffitt’s significant investment in our enterprise data warehouse, the health and research informatics platform. This system incorporates clinical, genomic and financial data to facilitate advanced analytics in support of quality reporting research and value-based payment models, just to name a few use cases. And so, in support of our personalized medicine initiatives, we plan continued investment in this platform to incorporate innovative technologies such as molecular data analytics and natural language processing. Gamble: With something like personalized medicine, I can imagine one of the challenges or also advantages is the fact that it seems to be really getting more and more complex all the time, and that can be something that I imagine is hard to keep up with from a data management perspective? Greenman: It is, indeed. Certainly the data storage requirements are significant, and the types of data models necessary to integrate these data are highly complex and really require a different type of skill set and expertise than perhaps traditional data management tools and processes have permitted. Gamble: And with the IT staff, did all of the members of IT have background in this specific area, meaning oncology, or is it something where there has been somewhat of a learning curve? Greenman: I think it’s fair to say that there’s been a learning curve for most members of the workforce, given that these are relatively new technologies, whether it’s information technology or biomedical technology. So I think it’s fair to say we’re all learning. It’s extraordinarily exciting, and the potential for these technologies in all of healthcare — and notably in oncology care — is tremendous. But we’re definitely developing or taking measures to develop the knowledge and skills to be able to enable the use of these innovative technologies in the future.